If my last post on meal planning seemed overwhelming, here are a few helps. Take one tip and use it, you don't have to do it all. 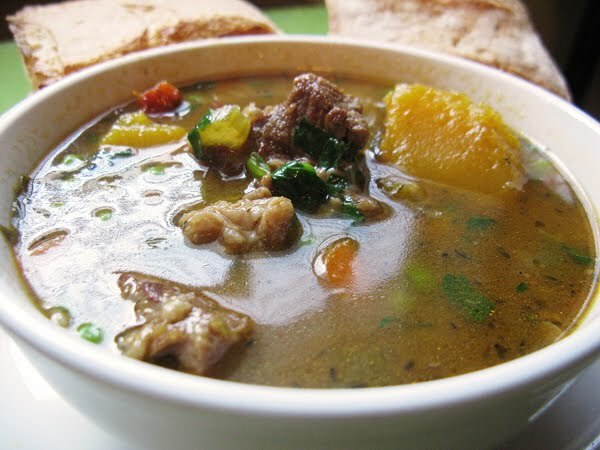 Allrecipes.com - use their advanced search, you can type in ingredients you want or don't want. The ratings are a great help. What resources do you use? I would love to add them to this list! Yes, you read that right: Smore Pie! I am so excited about this idea. I love camping and love that camping brings s'mores. But the problem with winter, it is too cold for camping and usually too cold for s'mores. This way you can have a fun, grown up version of s'mores all year round! The components: graham cracker crust, chocolate pie filling, and meringue topping. Pre-made come on, somtimes not everything needs to be made from scratch. But, if you are filling ambitious, go for it! Thanks to my sister for this! In medium saucepan, combine sugar, flour, cornstarch and salt. In a medium bowl, beat milk and egg yolks until smooth. Gradually stir into sugar mixture. Stir constantly over medium heat until mixture thickens and comes to a full boil. Boil and stir for one minute. Remove from heat and stir in chocolate, butter and vanilla. Stir until melted. Pour into pie shell. Place plastic wrap over filling to prevent skin from forming and chill for several hours. My sister's tip: you know its the right thickness when your arm starts to be a little sore from stirring. ha. In a mixer beat egg whites until frothy. Add cream of tartar and salt and beat until stiff peaks form (when you pull the beater out the peaks stand up on their own and the tip doesn't curl over). Beat in sugar, 1 Tbsp at a time. Beat in vanilla. Spoon onto cookie sheet lined with parchment paper. Bake in a 225 degree oven for 1½ hours. Place on pie just before serving. My tips: If not serving right away, store meringues in tupperware in dry place - they are very sensitive to humidity! Do not place on pie until just before serving. You can make a few large like me, or make smaller, and let every slice have its own dollop. 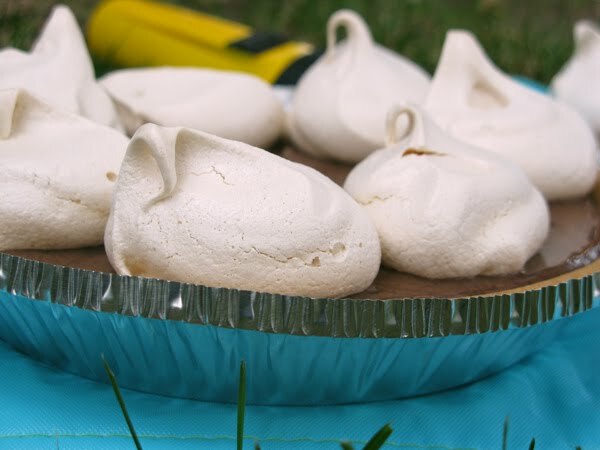 You could even try one large meringue - that could be fun! 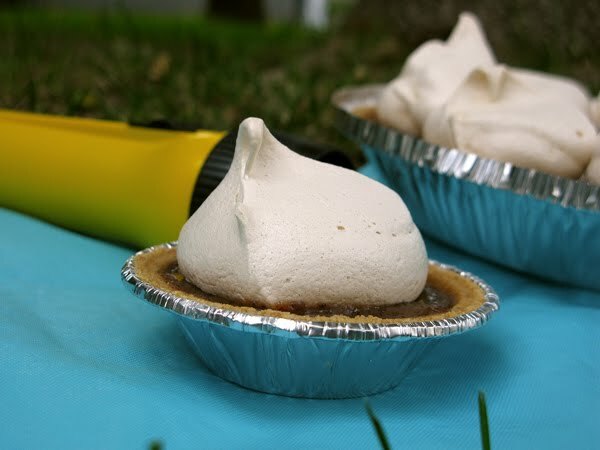 Try using mini pie shells so everyone gets there own s'more pie! I love things to be organized - from my schedule to my underwear drawer. 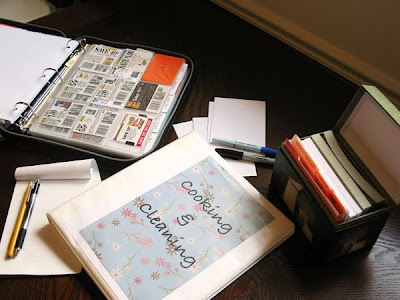 Recently, I have been working on my home organization; I divided up my chores similar to Martha Stewart's advice and I have organized my menu. Menu planning saves me time and money. Things don't always work out perfectly - life always throws us surprises - but I try to be ready for the "expected." 3. Make a menu using the cheap items. Plan out breakfast, lunch, and dinner. 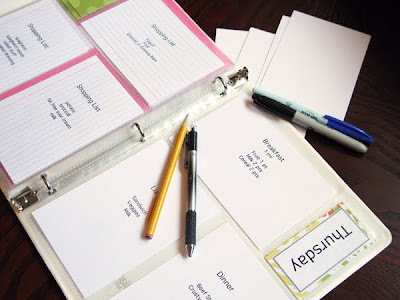 I make meal cards using 3x5 index cards. One side is the meal, the other is the shopping list. On the shopping list, I write everything I would possibly need for that dish. You certainly don't need to type yours. *These photo protectors are great. You can find them at Walmart. If you want, you could replace the day label with the snack if you want to plan even more. 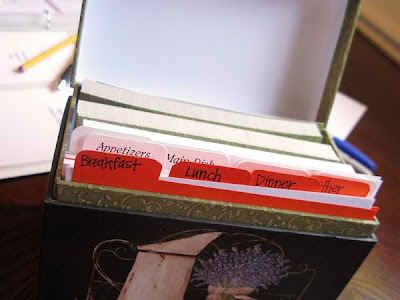 When the week is over, I put my meal cards into a recipe box. 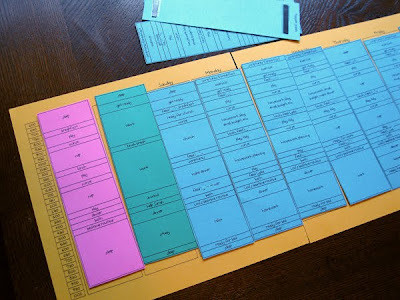 I made tabs for all meals plus an "Other." This is where I have "Eat Out" or "Dinner at the In-Laws" etc. 4. Review your shopping lists. Make a list of what you don't have already in your house. 5. Be flexible when shopping. If your list says "broccoli" but asparagus is cheap, switch them out. Sometimes there is a great unadvertised sale. 6. Make menu adjustments based on what you bought. If you need to, you can switch out the menu cards. 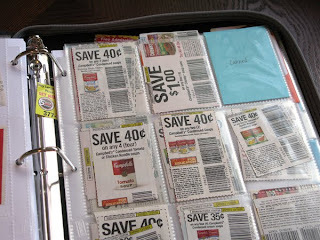 -I also store some recipes in the binder and place them behind the menu card. It is nice for those helpful spouses who want to help out with making dinner. -After a month or so, you really won't be making many new cards. It becomes a lot easier! I realize am a little OCD, but this system is so worth the effort! Check it out! I am being featured over I Never Grew Up. I was so flattered. Also, on Saturdays check out the Cooking Panel I am on. Here is last week's: Inspiration. 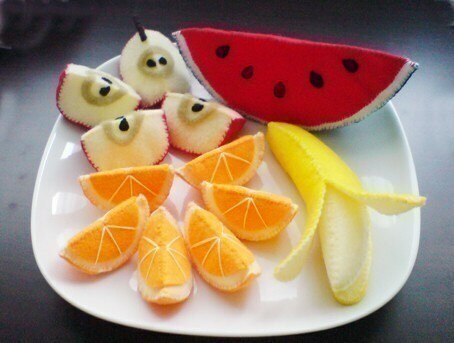 I know, I am probably a little late on the felt food craze, but I love them! I think they are perfect to get my baby excited for fabulous food. 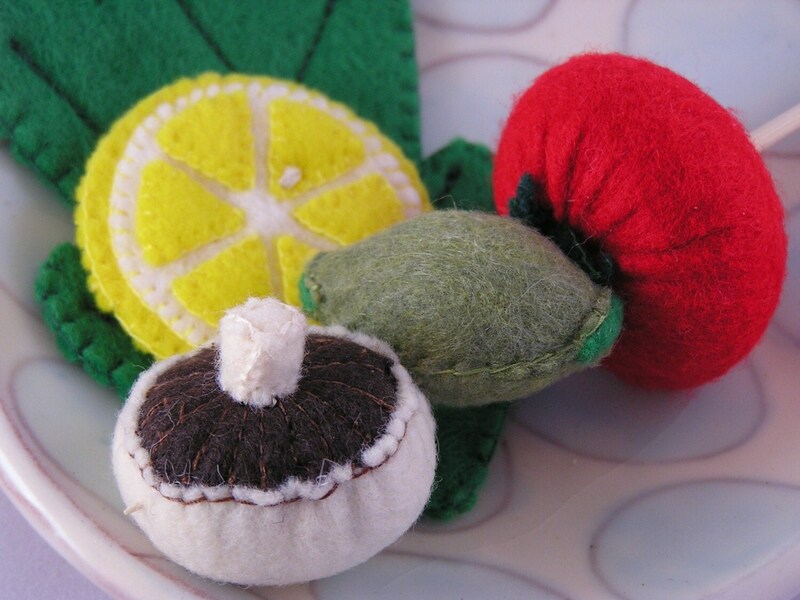 If she likes it in felt, she will like it in real life right? Check out these amazing pieces! Twice a year, we listen to our church leaders at General Conference. Even if you aren't a member of the LDS church - you should read their messages, they are very inspiring. 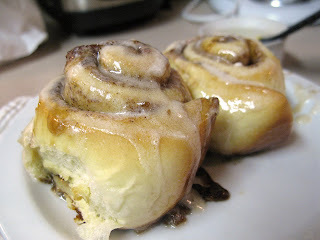 Growing up my mom always made cinnamon rolls. Now she has taught my sister and my brother - both who all make delicious rolls. My mom taught us well. 2. Brush the dough with melted butter, leaving about 1 inch on one of the long side. 3. Sprinkle with cinnamon, I like a lot of cinnamon flavor, so I get my pretty dark. But do it to your taste. 4. Next spread a small layer of brown sugar. Sometimes I get carried away, and do too much. But that makes the rolls come apart. So hold back if possible. Now this is where you can add some raisens or nuts - my family likes them simple. 5. Now, roll it up, Jelly Style! 8. If you like them to be soft all around, place close together in 9 x 13 dish, if you like them browned all around, place about 12 on a cookie sheet. Cover with dampened dish towel (if you live in a dry area), and set in warm area and let rise until doubled. Quickly take a picture, even if it is slightly blurry because these are too good to worry about a retake! I am being featured on a cooking panel! Check it out http://mirandawalker.blogspot.com I am so flattered. 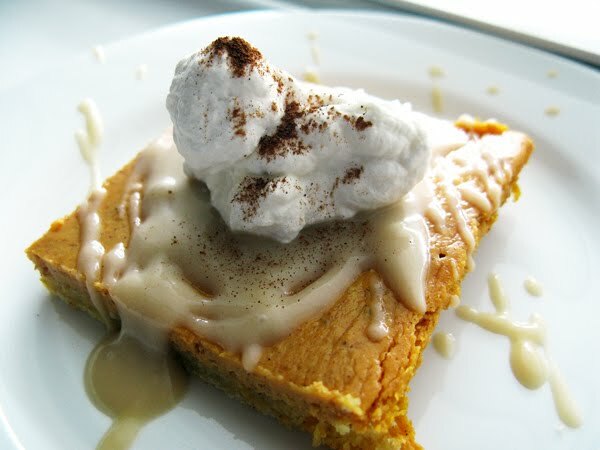 I can't wait for fall every year because I finally get to make these pumpkin cheesecake bars. It is perfect for dessert with some apple cider and a warm fire. In a large bowl combine until crumbly. 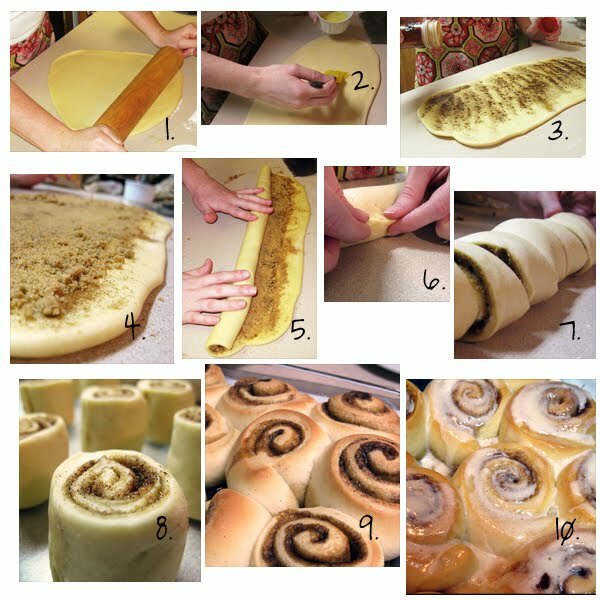 Press onto bottom of jelly roll (11x15) pan. In the same bowl as the crust was made in, beat cream cheese until fluffy. Beat in remaining ingredients. Mix well. Pour over crust. Bake at 350 degrees for 30-35 minutes. Cool and refrigerate before serving. If desired, serve with Maple cream and a dollop of whipped cream. *Tip: if you don't have pumpkin pie spice, combine 1 part nutmeg, 1 part ground ginger, and 2 parts cinnamon. Combine 1 cup heavy whipping cream and ½ cup real maple syrup in a small saucepan. Simmer for 30-40 minutes or until reduced by half. 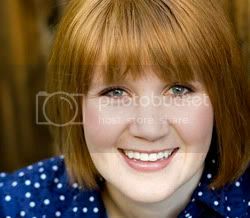 AC (my husband)'s sister, Meg, married Bob. Bob's parents live in Scotland and I have never met them (though I want to). 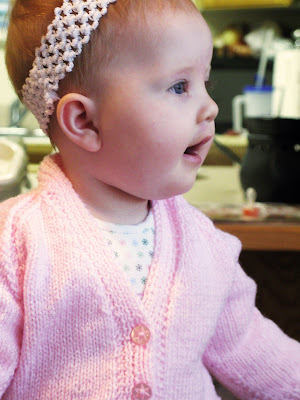 Bob's mother knit this cute sweater for Lou when she was born! I am so excited it fits now. Isn't it the cutest thing you have ever seen?! She is so nice - I only told to family tree to show you how distantly related she is - she is so nice to make this for us. 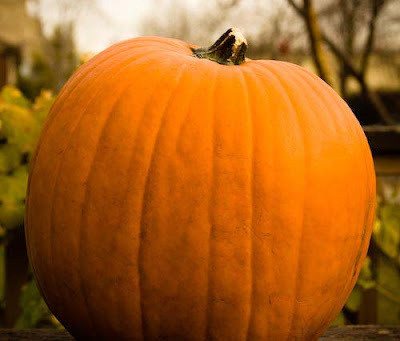 Get excited for a few pumpkin recipes this month! 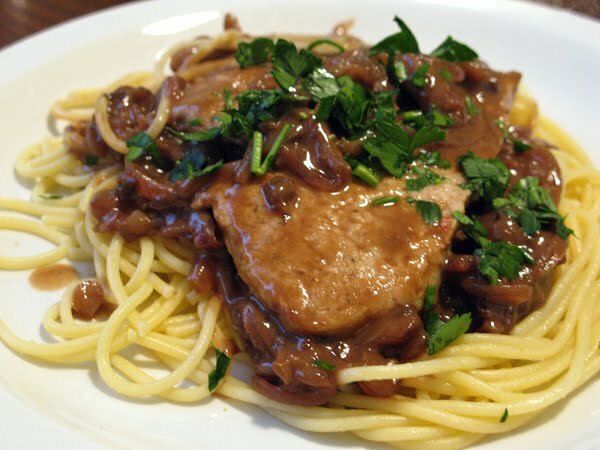 I love it in savory and sweet dishes. Got any good pumpkin recipes too? Although the farmers markets are closing, it is nice to know what is in season now to know what produce is the freshest and cheapest. 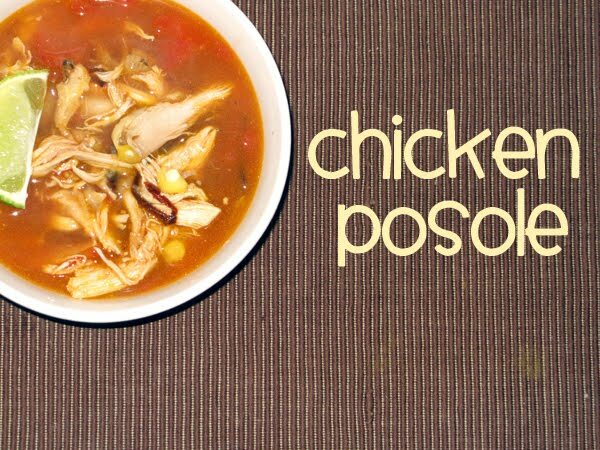 When my husband saw me looking at a Chicken Posole recipe he told me I had to make it. He ate it a lot when he was living in LA and visiting a lot of Hispanic people. This was a common soup served to him. 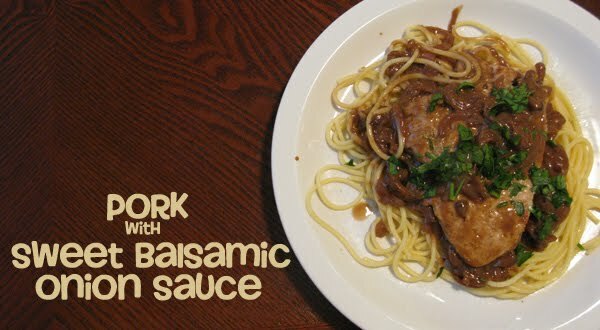 After trying this recipe he said it was very authentic. heat the oil in a large sauepan over medium heat. Add the onion and 1/4 tsp each salt and pepper, stirring occasionally until onions are soft and starting to brown. Add broth, tomatoes, and chili. Bring to boil. Stir in chicken and hominy and simmer until heated through. Serve with a lime wedge. 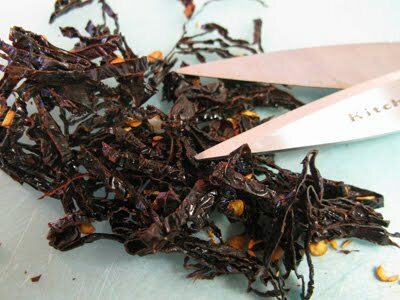 Those dried ancho chilies are pretty hard to cut with a knife - cut with kitchen shears. The original recipe says you can substitute 1/4 tsp red pepper flakes, but avoid if you can - the ancho gives the authentic taste. 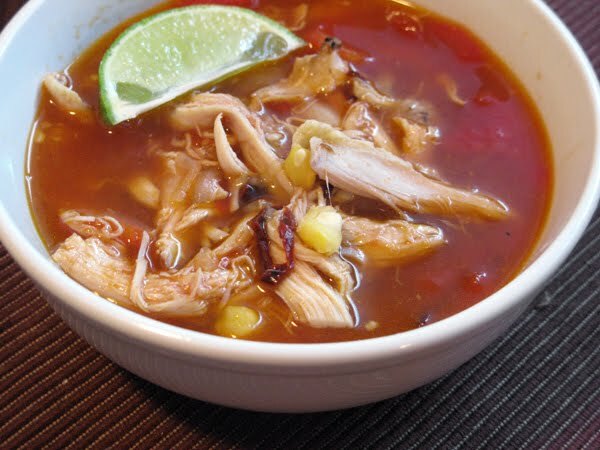 When shredding your chicken, save the skin, bones, and all other "leftovers" to make broth or another soup. 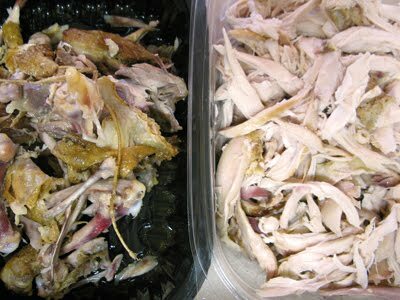 I use the lid of the rotisserie chicken to hold the chicken until I am ready to use it - save me a dish from washing.